In the gloomy shadow of countries controversies, unrest and political shenanigans it can be hard to see exactly how much our government actually does for us. But, believe it or not, it’s a fair amount. Among revolutionary humanitarian initiatives already in place (that you’re probably not aware of) like Tshwane’s free Wifi program and Namola (think Uber for police) our government is also helping to fund our nation’s researchers, professors and intelligentsia in their own efforts to make tomorrow a little brighter than today. Every year our government funnels millions of Rands into different universities and science councils, funding ideas and technologies that will assist in the constant betterment of our country. 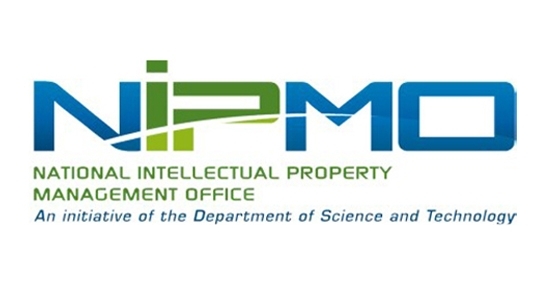 In order to make sure that the intellectual property developed during the research is actually put to use, and that South Africa can extract the maximum benefit from our tax Rands, the Intellectual Property Rights from Publicly Financed Research and Development Act (or IPR Act) was created. The entire purpose of this Act is to make sure that the public funds invested in the ideas of our best and brightest come back to benefit our society, rather than being shipped offshore for profit, and then relicensed back to us, or left on the shelf to gather dust. For South Africans, by South Africa, so to speak. With the IPR Act, NIPMO really does have our inventive backs when it comes to research and development. To quote Jetane Weyers, NIPMO’s Director of Regulatory and Compliance, “He who creates, owns.” Any innovation that solves a problem, in a non-obvious way, and has an element of novelty, be it in basic or applied research, or in experimental development, it now sacrosanct. And it makes life substantially easier for our Technology Transfer Offices, too. As the body to whom the TTOs identify and report their intellectual property, as well as the repository and database for all publically funded IP, they remove a chunk of the exhaustive admin from entities like Innovus, allowing them to focus on the promotion and commercialisation of the technologies being developed. They also make sure that this IP is protected, utilised and commercialised, and at the same time feeding universities with the funding to employ new staff members to help them comply with the Act. How does this impact our lives? To prevent the destruction of any chance of a potential patent, all inventions that grew in the soil of public funds must be disclosed to your TTO, before they are disclosed publically. (You can download Innovus’ disclosure form here.) But, as I think I’ve made abundantly clear above, this really is in the best interest of everyone. Once the invention is disclosed, it can be protected, which means you, and your future aspirations are, too. With the IPR Act, those who put in the effort will reap the benefits – both the inventor, the institution they represent and our country.